Min Jiang at Goodwood Park Hotel and Min Jiang at One-North are both stellar restaurants, consistently exceptional at their craft—Min Jiang at One-North also dishes up one of the best renditions of Peking duck in Singapore, the fowl roasted to perfection in a custom-made wood-fired oven. 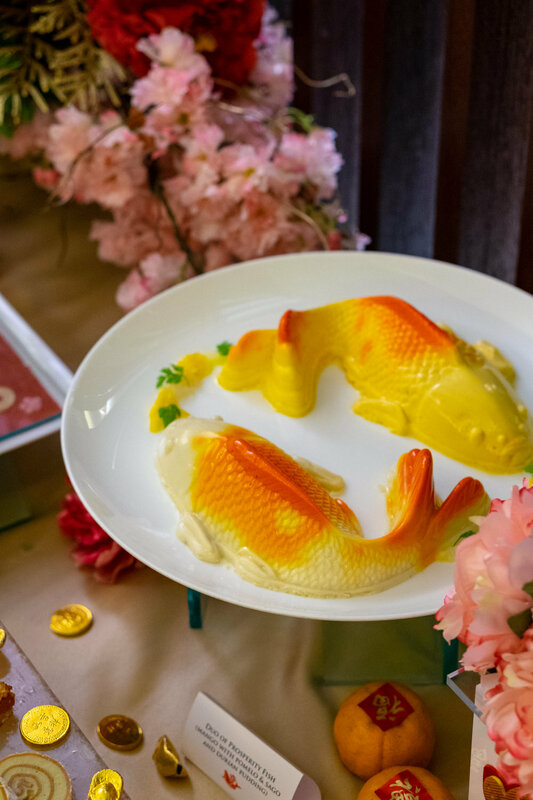 IMHO, they’ve totally outdone themselves this year with their Chinese New Year offerings. 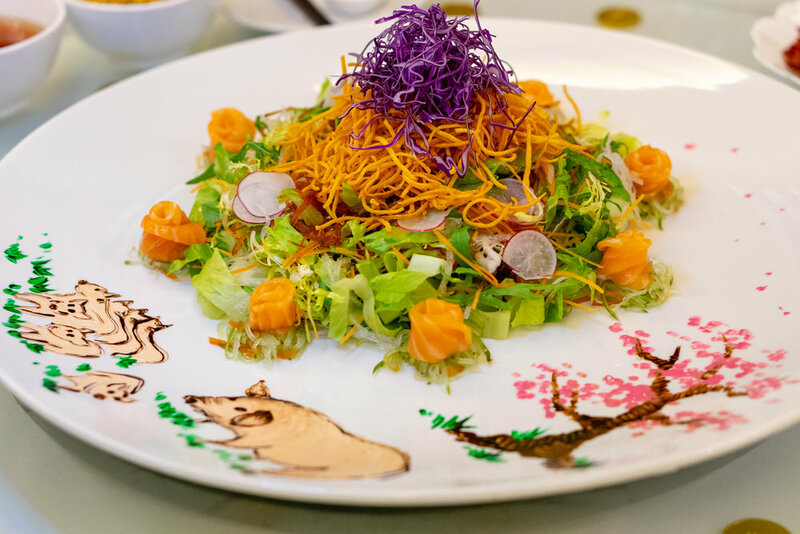 For Yu Sheng’s, the gorgeously illustrated Prosperity ‘Fa Cai’ Yu Sheng (available dine-in at Min Jiang only; large $168)—with 8 happy pigs out for a stroll—is delightfully pleasing with accompaniments of salmon, abalones and the hotel’s homemade ‘bak kwa’ (pork jerky), but Min Jiang at One-North’s fruity rendition this year won me over. The Fruitful Abundance Yu Sheng with Whole Abalone in Raspberry and Sour Plum Sauce (available dine-in at Min Jiang at One-North; small $118, large $168) is slightly sweeter with its refreshing medley of fruits, but the generous addition of pine nuts, peanuts, sesame seeds and crispy yam strips give it that deep savouriness, and acidity from the sauce, yuzu jelly and strawberries to tie the burst of textures. If you only have space for one takeaway item, the Double-boiled Whole Chicken stuffed with Bird’s Nest and Duck Foie Gras Dumplings (available takeaway at Min Jiang at One-North; $308.15 for 6 pax) is what I’d strongly recommend. 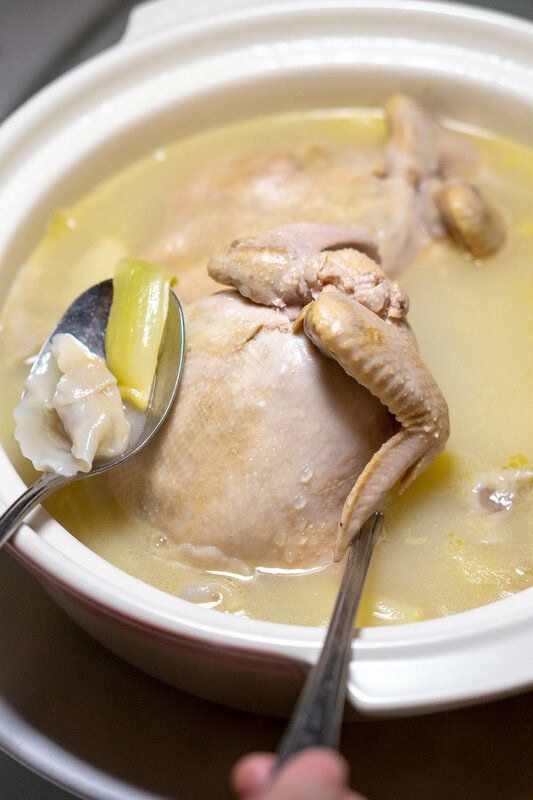 Not exactly affordable, but the dish features a divinely tender, whole deboned chicken, stuffed with bird’s nest, and delicate foie gras dumplings in a superior chicken broth so deep and flavourful it almost smothers you in contentment. Coming in tied at a close second are Min Jiang’s Prosperity Duo of Deep-fried Pork Knuckle and Slow-baked Honey Butter Ribs (available takeaway; $147.65 for 6 pax) and Min Jiang at One-North’s Braised Pork Belly with Pan-fried Lotus Root Pork Patties and Sea Treasures in Claypot (for 6 pax; dine-in $298; takeaway $318.85, includes claypot). 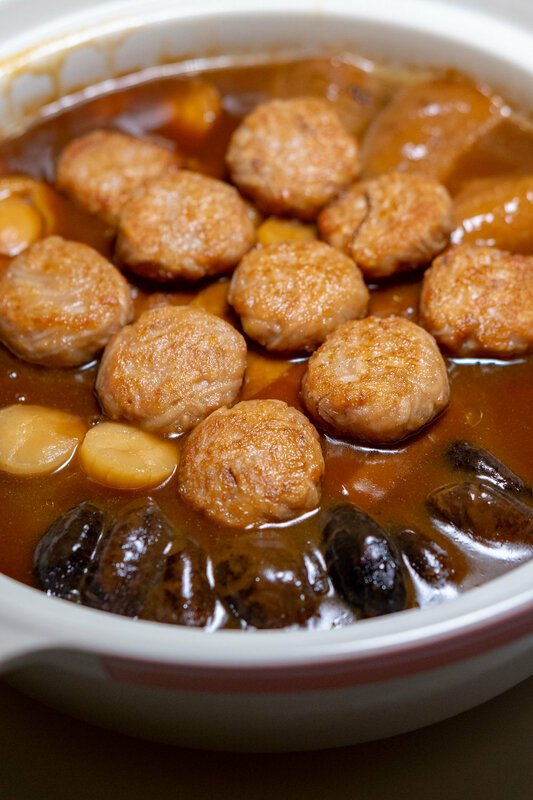 They do not call it a “Pen Cai”, and I’m half glad because disarmingly savoury, thick to almost gooey standards, gravy—with ingredients such as pork belly, lotus root pork patties, Australian 10-head abalones, sea cucumber, dried oysters, dried scallops, flower mushrooms, ‘fa cai’ (black moss) and Tianjin cabbage—is far richer than some Pen Cai’s I’ve tasted. There are also plenty of stars on their lineup of sweeter festive treats. 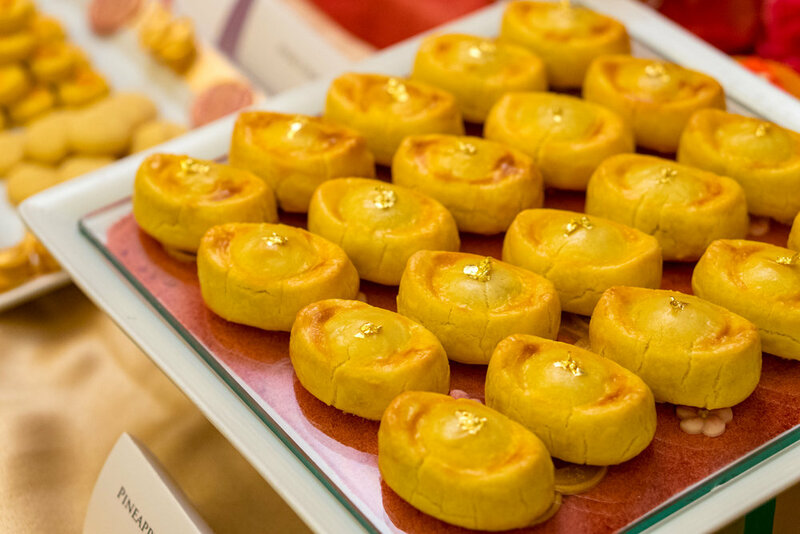 The Trio of ‘Nian Gao’ (available dine-in at Min Jiang ($32, 9pcs; $42, 12pcs; $52,15pcs) will have you swooning with rich and fragrant presentations of Nian Gao: deep-fried with a rich dollop of Cempedak flesh; with a rich mix of mix of D24 durian puree and kaya; and layered with yam and pumpkin and pan-fried. 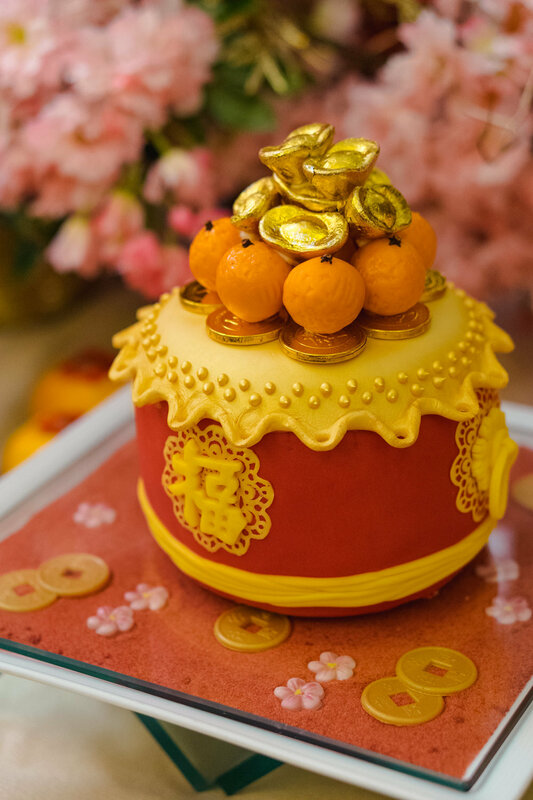 Aside from their signature and very popular Bak Kwa ($56 for 600g; $88 for 1kg), their oversized The Huat! 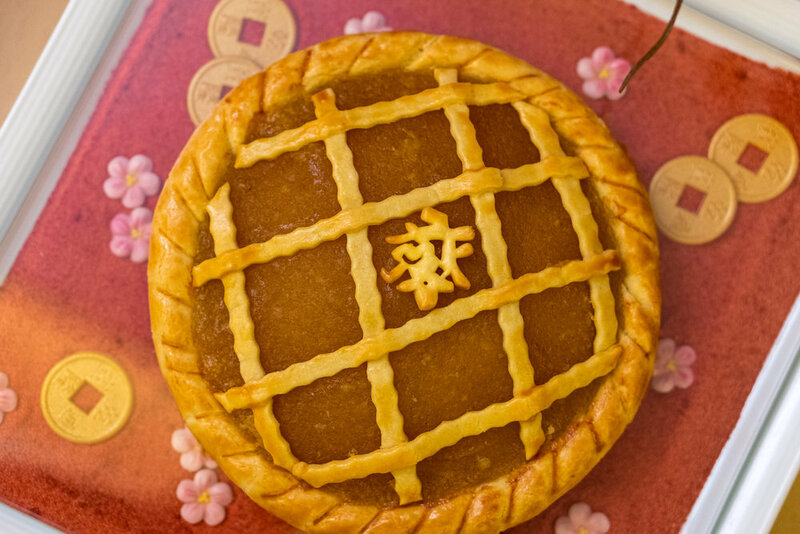 Tart ($48, 500g)—filled generously with homemade pineapple jam—and majestic Drum of Fortune ($108, 1.3kg) are also great gift ideas. Be it for loved ones, or yourself. 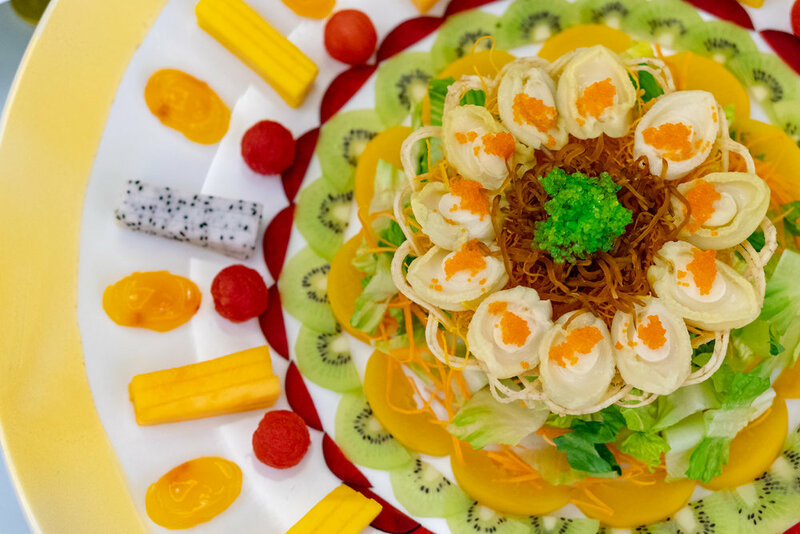 Chinese New Year dining at Min Jiang (Goodwood Park Hotel) as well as Min Jiang at One-North is available through 19 February 2019, advance order of 5 days is required for takeaways and last order is 15 February 2019, 12pm. 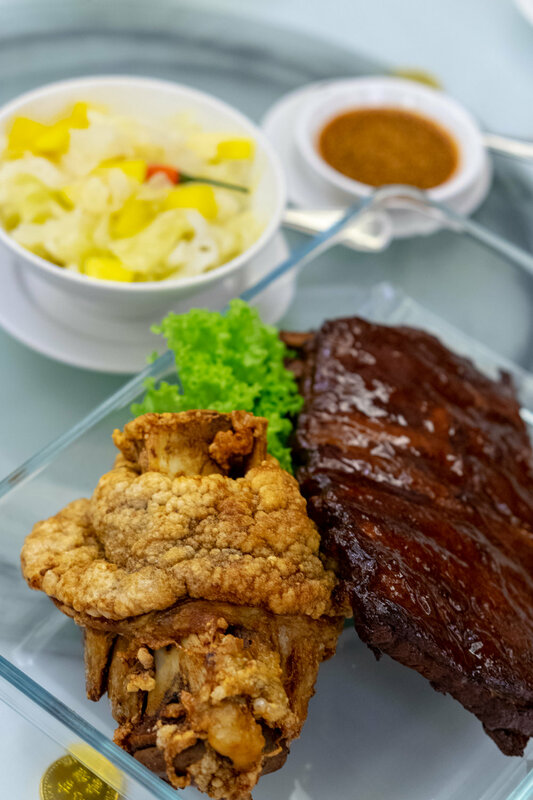 For more information and/or reservations, please visit their website or here for online orders. This was an invited media tasting session, though all views expressed are my own. MICHELIN Guide Street Food Festival 2019: Price list + What to splurge on!